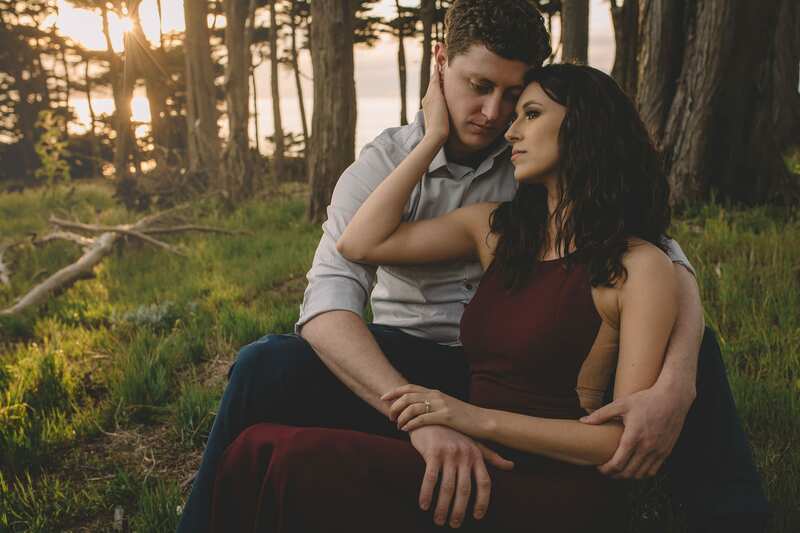 The Bay Area bordering San Francisco is known for rocky beaches, jaw-dropping cliff and redwoods, and fresh, cool salty sea breezes. 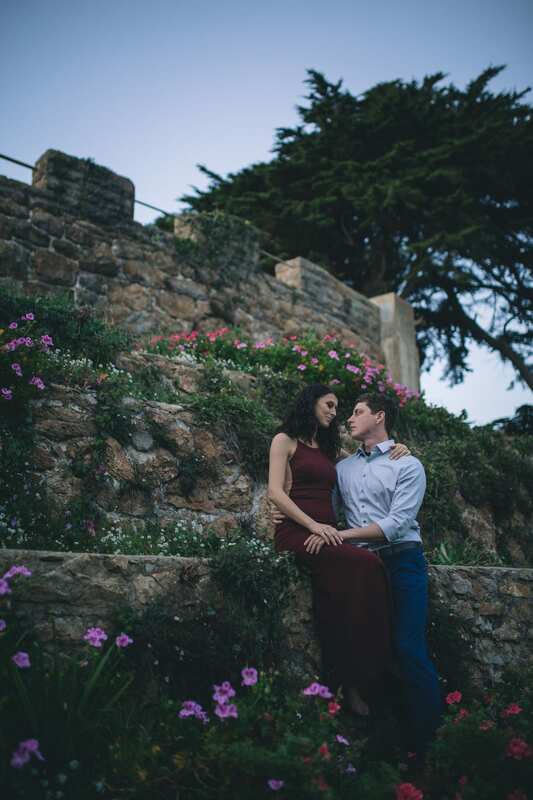 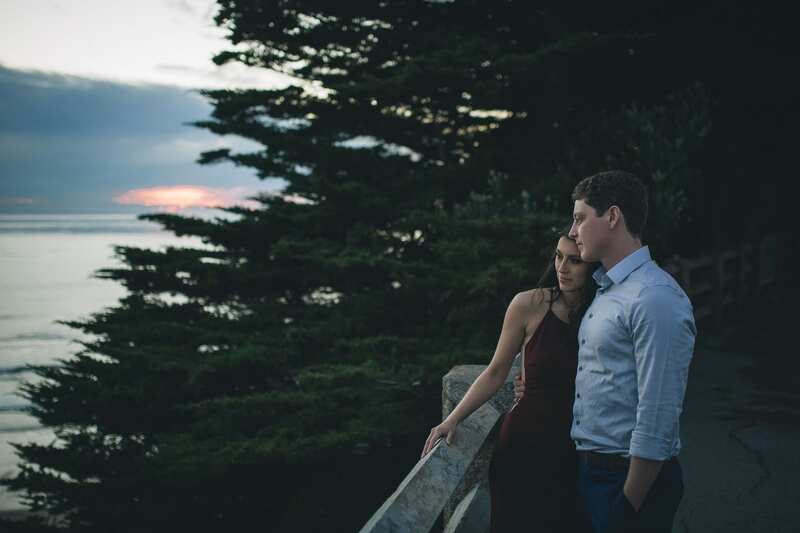 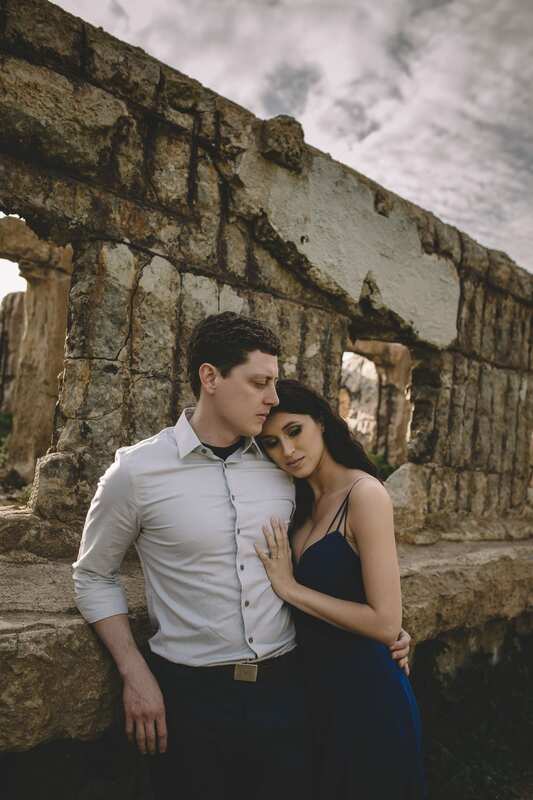 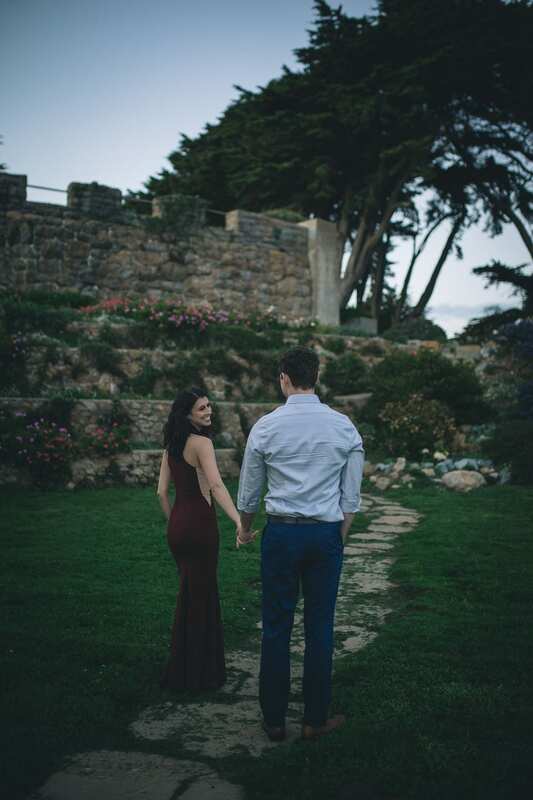 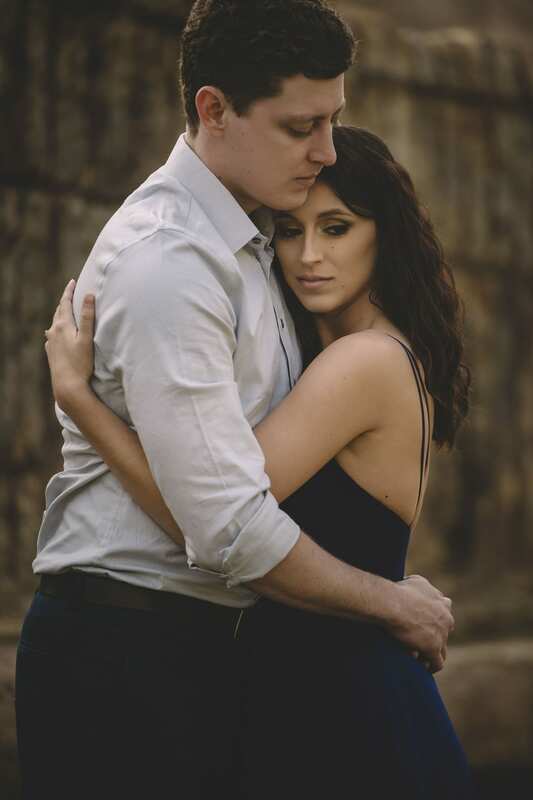 And while there is beauty to be found almost anywhere, Brittany and Jamin opted to have their engagement photos taken in a place also steeped with rich history. 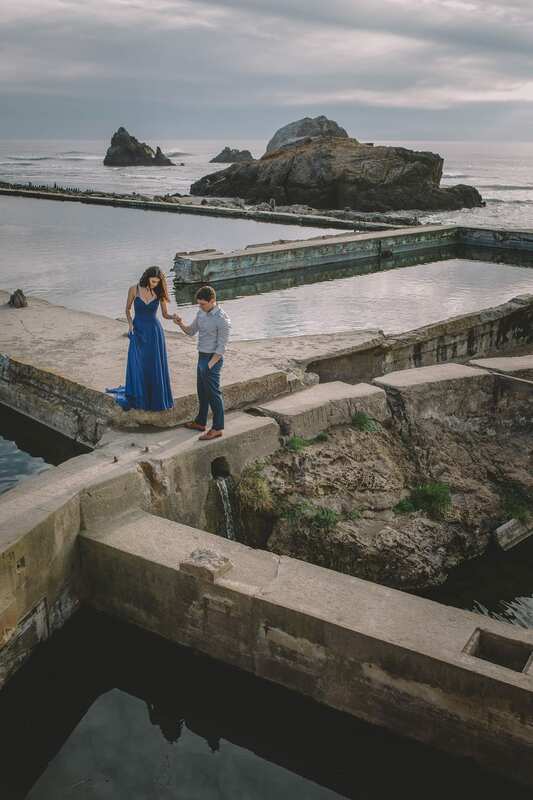 The Sutro Baths near Seal Rock was a popular saltwater bathing house in the late 1800’s and early 1900’s. 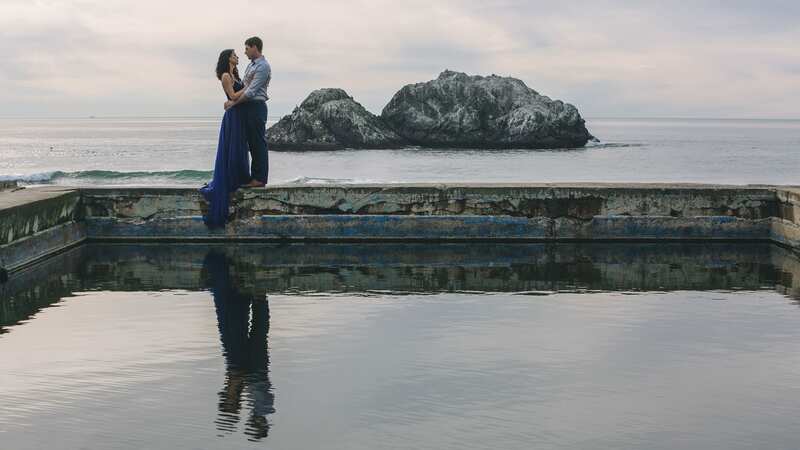 While it is no longer in operation today, the ruins, set along the breathtaking Pacific Shoreline, are prized for their culture and beauty. 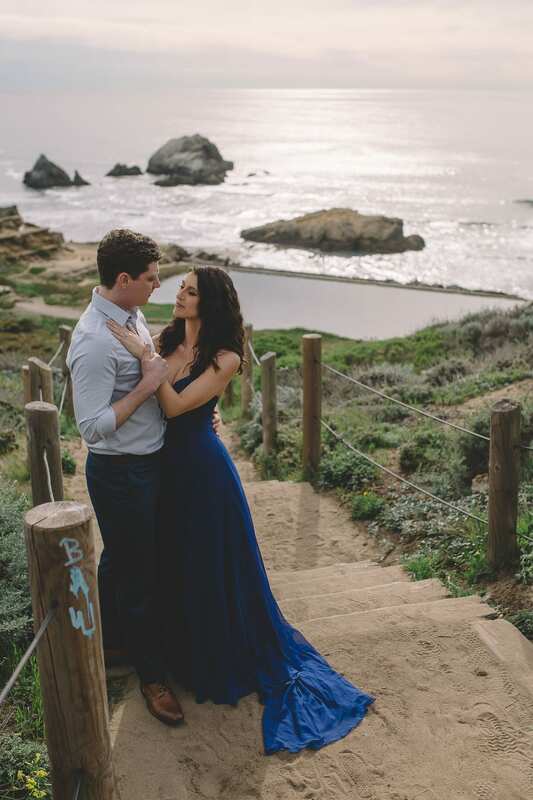 X Sight Photography captures the couple in graceful views along the blue-gray shoreline–Brittany in a sweeping cobalt dress that reflects the beauty of the seemingly endless shoreline. 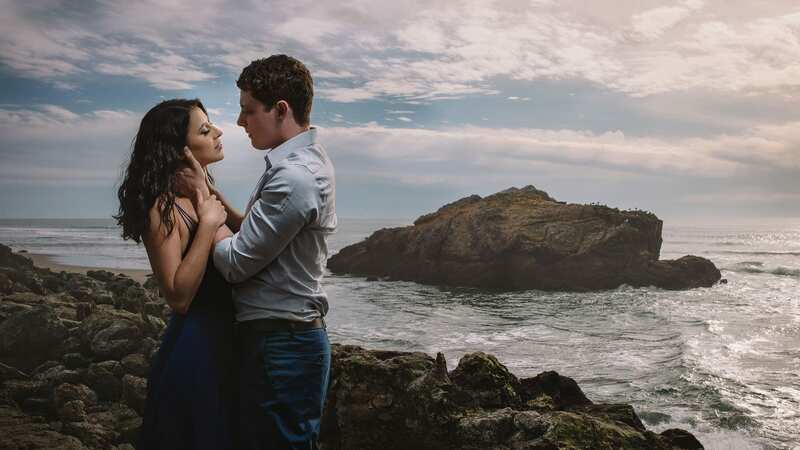 Shifting clouds, overgrown rocky cliffs, and the romantic ruins themselves make these photos a work of art in of themselves. 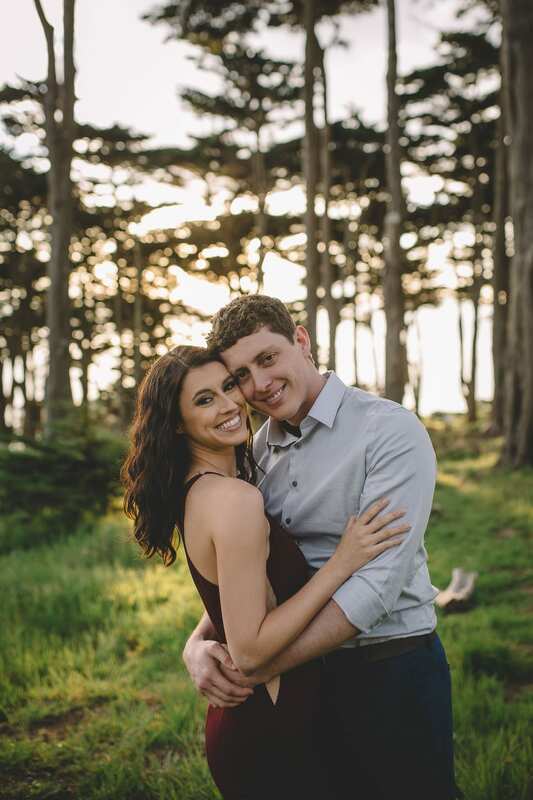 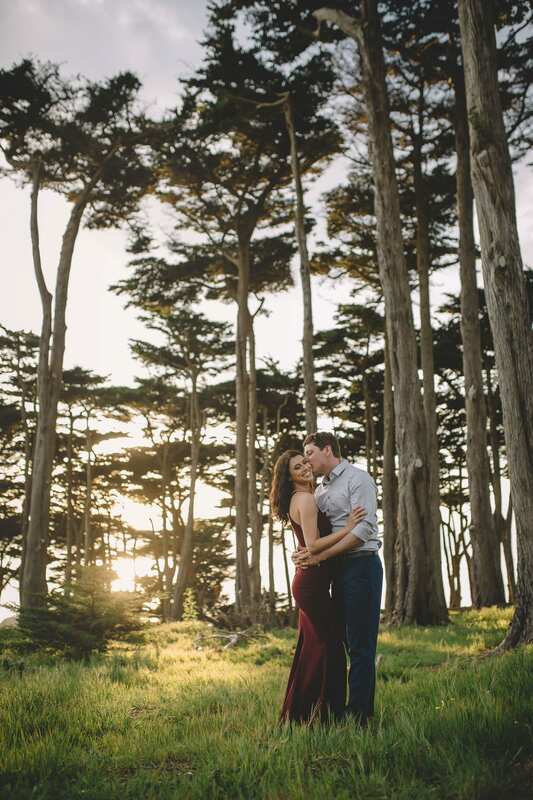 Under the canopy of redwoods, Brittany and Jamin embrace as the sun sets.